If you’re thinking of shopping for Mothers Day Gifts, take a look at the gift suggestions given on our handy gift finder, you’ll find it in the left hand side of our website and you can choose to search for gifts for numerous occasions. Using the Mothers Day Gift Finder brings up some excellent suggestions such as the fun slogan coasters, luxury bathroom products and much more. The Stonewitwords Coasters are fun, excellent quality, heavyweight stone coasters engraved with various slogans. They are ideal small gifts for the home or the office and suitable for various ocassions. For Mum this Mothers day why not send her a smile with one of our fun Coasters designed with Mum in mind? Good Mothers have Sticky Floors, Filthy Ovens and Happy Kids is one of the fun messages for Mum, another great one is If Being a Mum Was easy, A Man Could Do It. After a busy day, there is no better way to relax than a nice warm bath, spoil Mum with a delicious Chocolate with a hint of Orange Scented Bath Fizzer made by Bath Bubble and Beyond. Also from Bath Bubble and Beyond are Random Scented Mini Bath Marbles, a fun and luxury gift to give you a whole new bath time experience, each marble is approximately 2.5cm diameter and you can use between one and 5 marbles per bath giving you a luxuriously scented relaxing bath. Create the ultimate relaxing atmosphere by adding candles to your scented bath, with such a fantastic range of candles and other scented gifts at TAOS Gifts you are spoilt for choice! Shearer Scented Candles are made with quality waxes and oils to create the long-lasting fragrances, their long burn times make them excellent value for money. 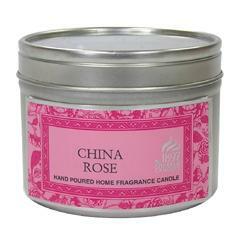 With it’s pretty pink packaging the China Rose Shearer Scented Candle is an ideal gift for Mothers Day, the travel size tin releases a delicious cocktail of fresh peach, raspberry embellishes the seductive bouquet of rose and violet. Shearer Candles are hand poured and made in Scotland, traditional and luxurious gifts for any occasion! Do you have your very own Master Chef at home, or are they more creator of chaos? If you dare let them loose in the kitchen this Christmas we have the perfect novelty gift, sure to raise a few laughs, and hopefully lead to some tasty creations. Mad Dad the Crazy Chef, is a Chefs hat he’ll love to wear. One size fits most Adults, fun slogan printed on the front. King of Curries. Chief of Chillies. Master of a Messy Kitchen. Mum is sure to love it and hopefully it’ll inspire her to bake some more mince pies, but please be aware we cannot promise this. If you can’t have your very own Master Chef, how about a Naked Chef? A Funny Adults Chefs hat with a cheeky message printed on the front. If your Naked Chef does decide to strip you can get them to cover up with style with this great fun novelty Apron, Stand Clear, Man Cooking. It comes with its own bottle opener, and multiple pockets for the essential fire extinguisher, salt and pepper, chilli sauce and of course, beer. Supplied in an attractive gift box it’s an ideal gift for Christmas, Birthdays or Summer BBQ’s. is a fun gift set that’s practical too! The Perfect tart in your life (and lets face it, we all know one) will love this gift box containing two 8cm silicone tart moulds and miniature 10 page fold out recipe book on how to bake a perfect tart. After a busy day in the kitchen, sooth your Masterchefs hands with the zesty scent of our Chefs moisturising glycerine soap made to cleanse and deodorise their hands, combatting any nasty kitchen odours like garlic or onions, handmade by Bath Bubble and beyond, it’s a luxurious essential for any serious Chef. Gardeners gifts with Attitude, fun knee savers! It’s time to start preparing our gardens for Autumn, help lighten the load with these fun and funky Knee Pads at TAOS Gifts. The soft pads cushion the knees, and protect them from hard ground, cold and stones. They measure about 42cm x 18cm, so they are big enough to use as an extra garden cushion, but small enough to store in the shed or Greenhouse. With their light-hearted humour, they are great to give as cheeky gifts for loved ones. For the Beer monster in your life, try the Beer Please kneeling pad, once they are tired of working they can just hold the knee pad up, smile, and hope you spot it! Grandchildren would love the Greatest Gardening Grandad kneeling pad for their Grandad, cheery bright yellow, it’s sure to give him a smile each time he uses it in the garden. There’s also one for the Greatest Gardening Grandma, so they can have one each with a message they’ll love, Granny’s comes in green so they are easy to tell apart so there’ll be no more fighting over the knee pads! Who needs Buffy when we have Dad the weed slayer? There’s one for Mum too, Flower Power Mum is sure to give her a giggle! Even if you know someone who’s just not keen on gardening we have one for them too, Quiet Please! Grumpy Gardener at work is bound to raise a *smile on even the grumpiest of gardeners. We even have one for the Ladies, for those that like everything pink, they cannot escape the gardening either with the Girlie Gardener kneeling pad in funky bright pink. Gardening is an art, and for those that take it very seriously, buy them the Artist at Work kneeling pad. There’s other designs available and a great range of novelty gifts for all the family at TAOS Gifts.